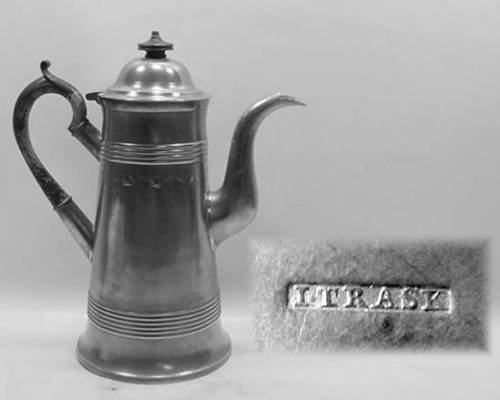 Trained as a silver smith, Israel Trask produced many engraved pieces. He worked in Beverly, MA from 1807-1856. 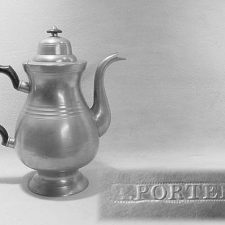 This 10½” tall coffee pot is one of his finest examples. The condition of the pewter and mark is excellent.